Bon Air, Virginia is a community of about 17,000 residents in Chesterfield County. It is a suburb of Richmond that is known for its large historic district in the middle of town. The many Victorian-style buildings found there date back to the late nineteenth century when Bon Air was a resort community catering to affluent Richmond residents. Today, both residents and visitors enjoy the benefits having a concentration of historic Bon Air locales to view. The prospective Bon Air home buyer will enjoy the wide selection of homes that are typically on the market. Homes for sale include large, newer homes with three to five bedrooms and 2,500-3,500 sq-ft of living space. Young families in search of starter homes will find a variety of modestly-priced ranches and split levels among the properties for sale. 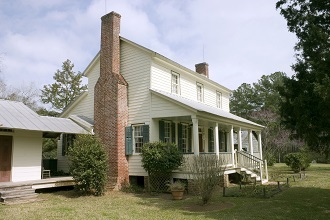 Those that appreciate truly historic dwellings should explore real estate in Bon Air. For example, there are restored Victorian homes built early in the 20th century that rest on large lots. "Bon Air" means "good air," and those that could afford it would come to this high plateau town to escape the grimy air that so often plagued the industrialized downtown of Richmond in the 1800s. Bon Air was promoted as a resort community by the railroad barons of the time. The Southern Railway connected the town to Richmond eight miles away. Bon Air always seemed to get preferential treatment from the railroad, as evidenced by the fact that, for a time, Bon Air enjoyed three railroad stops along just a mile of track. Commuter railroad service finally concluded in 1957. Those that invest in Bon Air real estate will find a wealth of recreational opportunities in the area just to the west of Richmond. Those that buy homes for sale in Bon Air enjoy easy access to Mid-Lothian Mines State Park, the Swift Creek Reservoir, and Pocahontas State Park. Mid-Lothian Mines State Park has been a popular destination for families. The kids can comb through a reserved area near an old mine for beautiful rocks like garnet and amazonite. Scenic trails are perfect for an afternoon stroll or for more vigorous hiking. The lake in the park offers fishing experiences for anglers young and old. 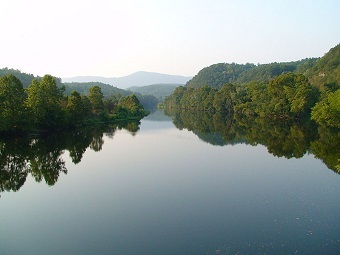 The heavily-forested Pocahontas State Park is the largest state park in the entire Commonwealth of Virginia. Both Swift Creek Lake and Beaver Lake offer a wealth of fishing and wildlife viewing opportunities. A five-mile biking trail circles Beaver Lake. A universally accessible trail has been developed recently. Ten miles of equestrian trails are another unique feature of this 7,950-acre park. Mountain bikers will never tire of the system of single-track trails that include challenging "expert" trails as well as trails that are rated "easy." Kayakers can take on the Class IV rapids that are found along some stretches of the James River. Or, they can enjoy the secluded coves of the Swift Creek Reservoir. Originally developed as a major source of drinking water for Richmond, this man-made lake also offers 1,700-acres of recreational opportunities. Swimming, canoeing, fishing, tubing, and water skiing are among the water sports enjoyed here. Sailing clubs can be found along the perimeter of the lake. The small community of Bon Air has its own car shows, farmer's markets, and events at the Bon Air Library. The action of Richmond and other venues is also nearby. Pocahontas State Park is home to the Heritage Amphitheater, a 4,000-seat venue that hosts the "Pocahontas Premieres!" concert series. Even the Richmond Symphony Orchestra has performed here. If you are looking to buy a home in this historic town, call Philip Hoffman before you start, 804-794-2662. He knows Bon Air and the Richmond market, and can find the best deals to put you in your dream home in historic Bon Air, Virginia!